(MoneyWatch) Microsoft has gotten quite good at staying on schedule. After the engineering train wreck that was Windows Vista -- it shipped several years late despite shedding virtually all of its promised new features on the way to manufacturing -- both Windows 7 and Windows 8 have stuck to a tight 3-year timeline while delivering pretty much everything Microsoft intended. Windows 7, in particular, was hailed as a notable success for Redmond. 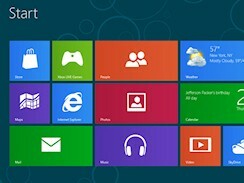 This Friday marks the release of Windows 8, which can be had for just $40. Yesterday, I described five reasons you might want to upgrade; today, let's flip that coin over and talk about why Windows 8 might not be right for you. There's not a lot here for desktop PC users. Most of the excitement -- for good or bad -- around Windows 8 is in the new modern experience, which is sometimes known as Metro. The Metro interface is very touch-centric and is optimized for mobile devices like slates -- that's obvious from the iPad-like full screen app approach. So if you're a normal business user on a desktop or laptop, then you'll probably spend most of your time in the traditional desktop. And there aren't many changes there. Sure, there are a few, like the new ribbon on Explorer folders and enhanced multiple monitor support, but at the end of the day it's hardly worth the cost to upgrade. There are dramatic and confusing changes to the interface. Business users in particular don't like change, and Microsoft has gone out of its way for 25 years to ensure lots of continuity with older versions of Windows. In Windows 8, though, Redmond has thrown the baby out with the bathwater. The Start menu is gone and can't be restored, for example. Granted, the new modern Start Screen does more or less the same thing and doesn't take but moments to learn, but the fact remains that it's different and you'll need to learn it. It's a schizophrenic operating system. Here's the biggest concern: You have both the traditional desktop and the new modern experience. They are different -- radically different -- and share the same operating system. Desktop apps don't run in the modern experience and modern apps don't run on the desktop. It reminds me of the ancient days of Windows 3.1 in which you might need to run desktop apps and DOS apps simultaneously. It wasn't pleasant then, and this won't be pleasant now. Simple tasks are more difficult. Part and parcel with the new UI is that common tasks are in new places, and you'll have to figure out where they are now and how to perform them. A great example: Shutting down your PC now takes extra mouse clicks and is hidden away in Settings instead of being right on "top" in the Start menu. Modern apps might dumb down the PC. Good news: There's now an app store filled (well, perhaps "filled" is an overstatement) with modern apps. These apps are touch-friendly and seem to be modeled after the iOS model of doing a few things well. Great, I suppose, but Windows programs typically offer a tremendous amount of power, flexibility, and customization. Does that mean the entire personality of Windows apps will change -- for the dumber and simpler -- as the Windows Store fills with apps? Will Windows become just a more bloated version of the iPad, and it'll be more difficult to do rich and complex tasks? As I mentioned yesterday, Windows 8 is the most significant change to Microsoft's operating system since the move from Windows 3.1 to Windows 95. What's your take? Will you be upgrading? Sound off in the comments.